Let&apos;s get right to the point. Nobody wants to drink their calories but nobody wants to give up that good stuff either. 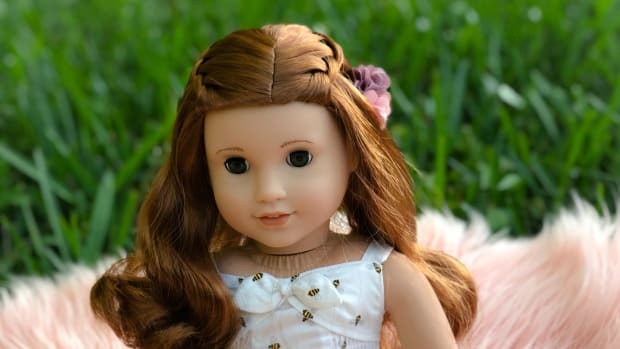 Most of us enjoy a good glass of wine, a beer or a cocktail after the kids are in bed. But, all of those drinks can add up faster than you think over time and reek havoc on your healthy eating habits. That&apos;s why I was super excited to stumble upon these Jordan&apos;s Skinny Mixes at HomeGoods the other day! 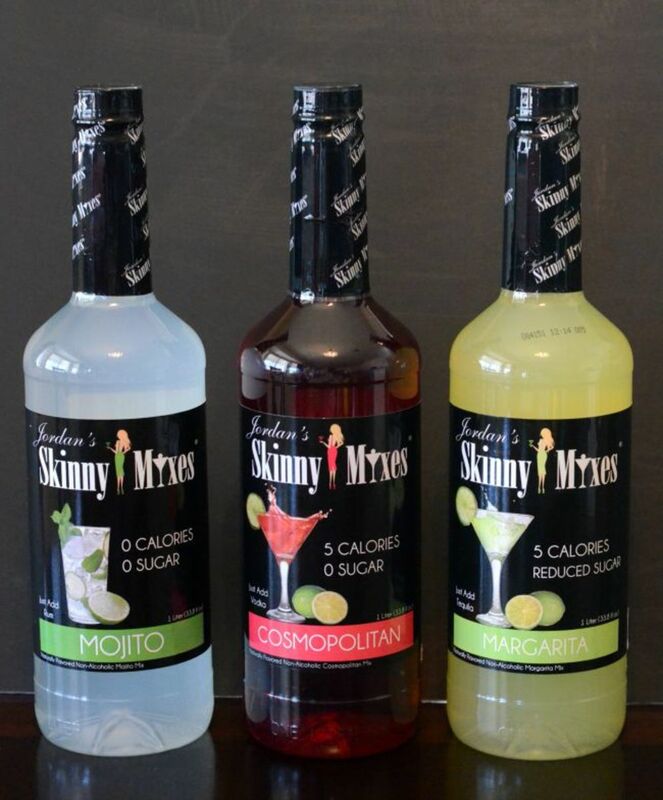 I picked up 3 of the Skinny Mixes for a few of my favorite cocktails - Margarita, Cosmopolitan and Moijto. I also got this pretty wood and wire industrial styled tray because, well, I couldn&apos;t resist. 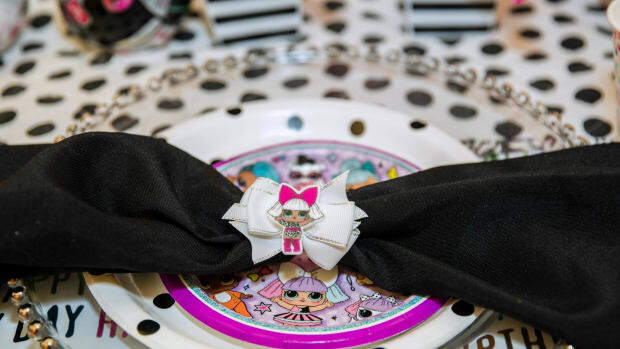 I totally justified the tray to myself since it has great texture and could be used for many other parities and occasions. 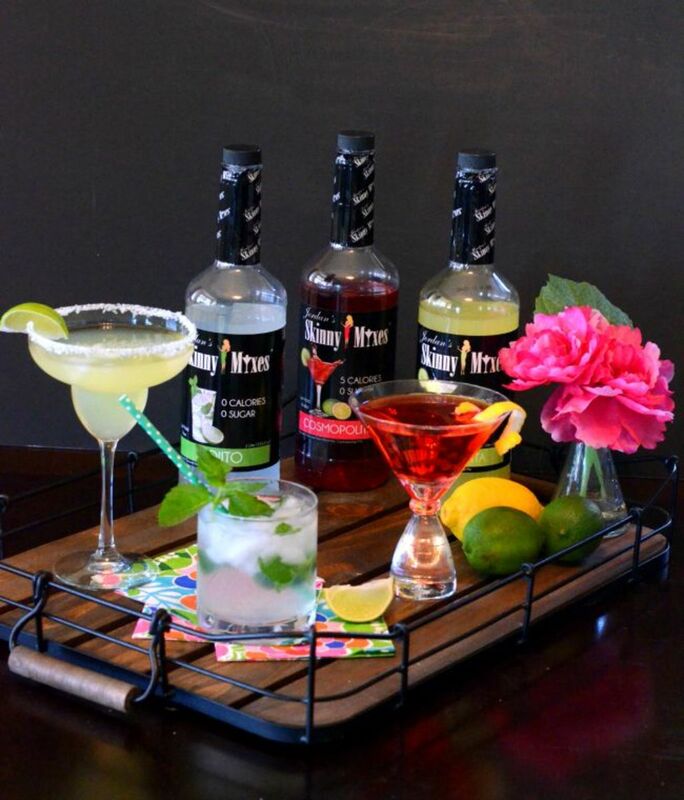 The Skinny Cocktails were easy to make with the Skinny Mixes and tasted yummy! I was worried that "0 Calories and 0 Sugar" would mean zero flavor, but I was pleasantly surprised. 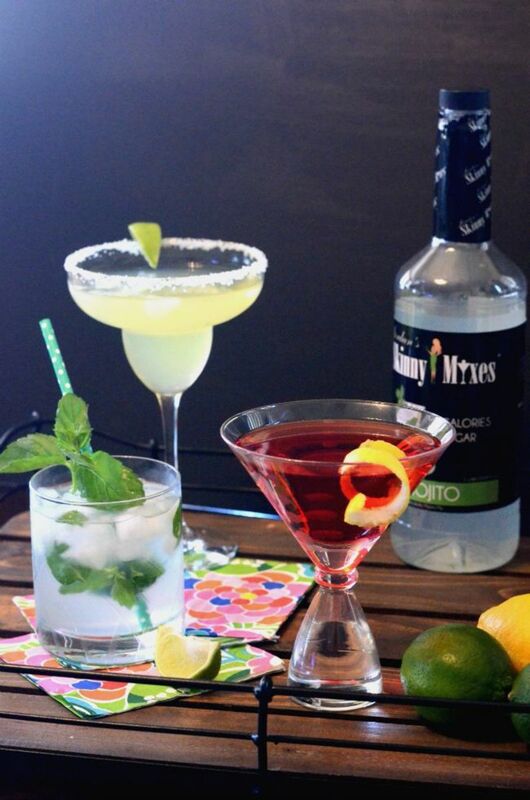 I happily did a little taste test with these cocktails one afternoon. I would totally serve these at our next ladies&apos; drink night. 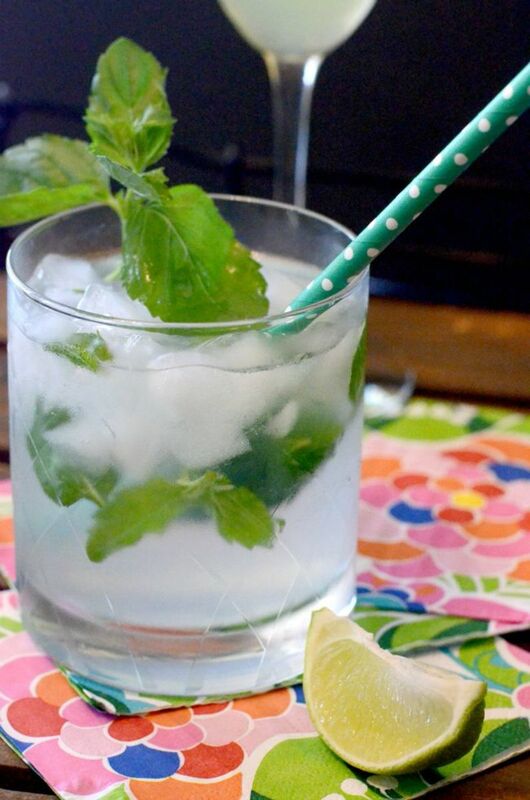 This Skinny Mojito was light and refreshing - just as it should be. 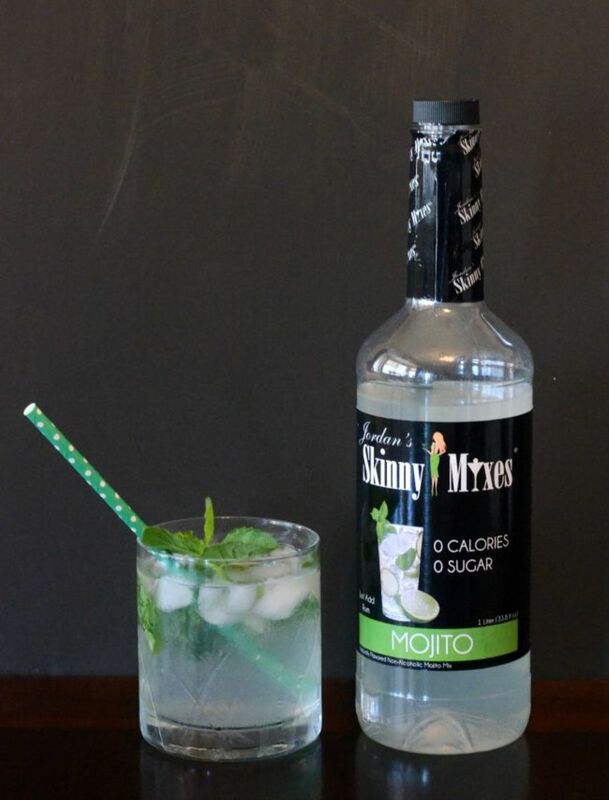 Just mix with rum and ice for a guilt-free indulgence. 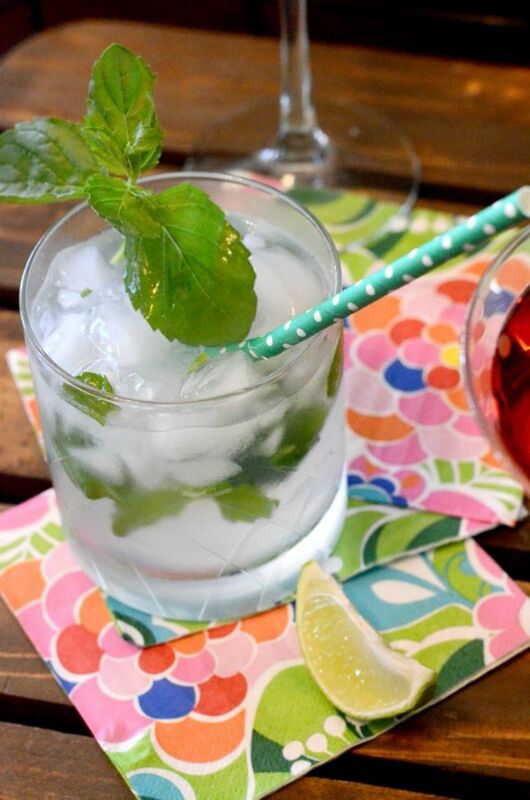 I added mint for even more flavor and a fun polka-dot straw. I found the etched glass to add to my bar-ware in the clearance section of my local HomeGoods. If you hurry yours might have a few left too. 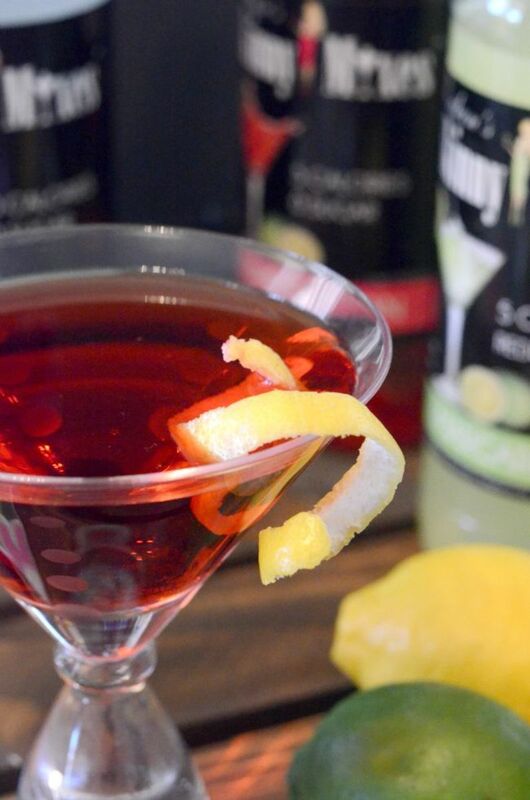 The Cosmopolitan Skinny Mix has a great red pop of color. I dressed up my modern-dot etched glass HomeGoods martini glass with a twist of lemon. 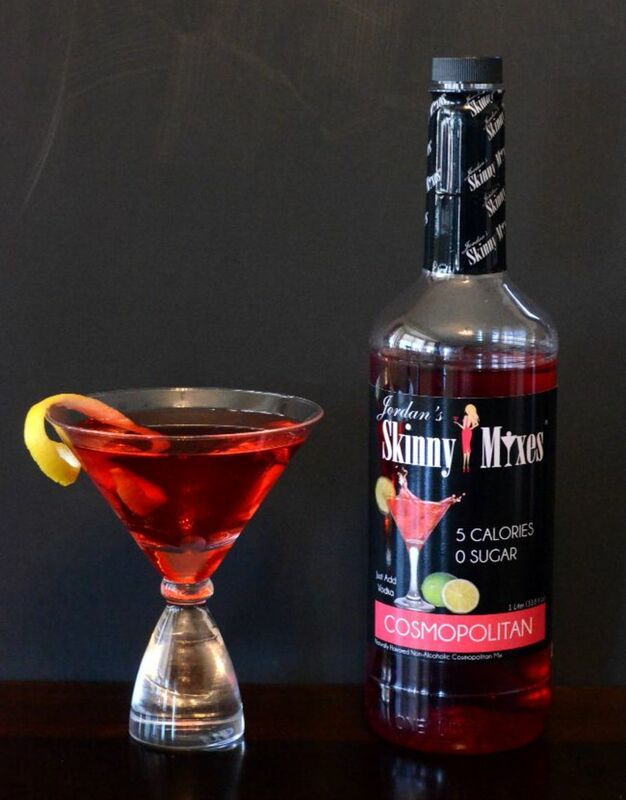 Mix your Skinny Mix with vodka and viola. Drinking it made me feel a little bit like I was Carrie Bradshaw out for the night in NYC. 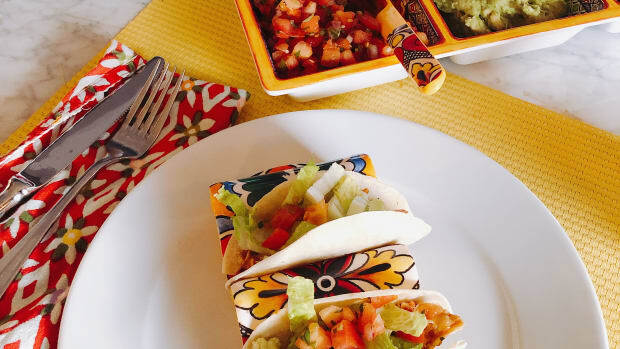 Since I live in Arizona, you can almost always find some kind of Mexican dish on my weekly menu. 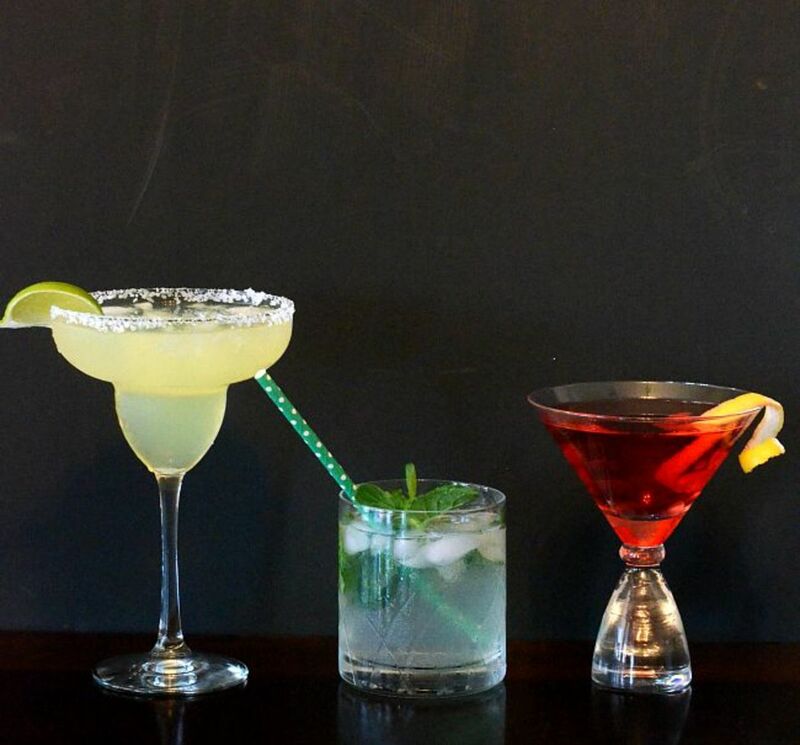 And what drink pairs best with Mexican food, a margarita of course! 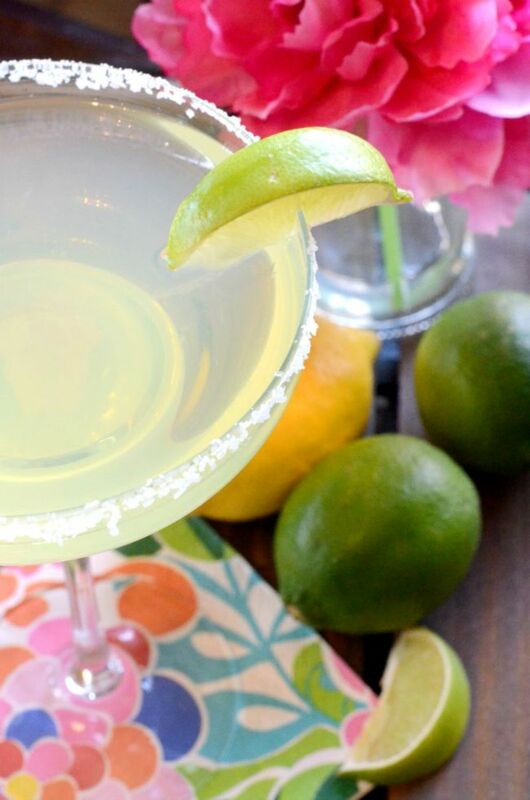 Salt, lime, tequila and your Skinny Mix, and you&apos;ve got the perfect margarita... Just the right amount of tang. 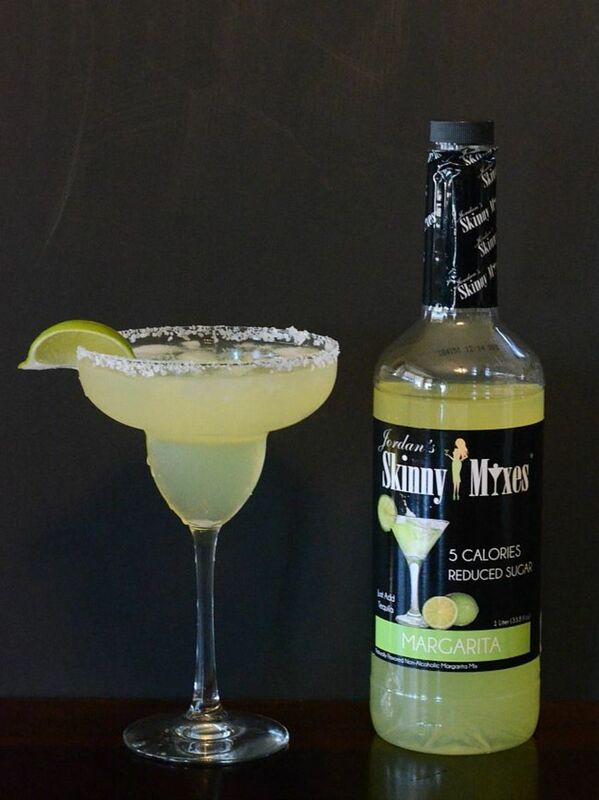 These Skinny Margaritas would go well with my healthier Black Bean and Spinach Enchiladas. 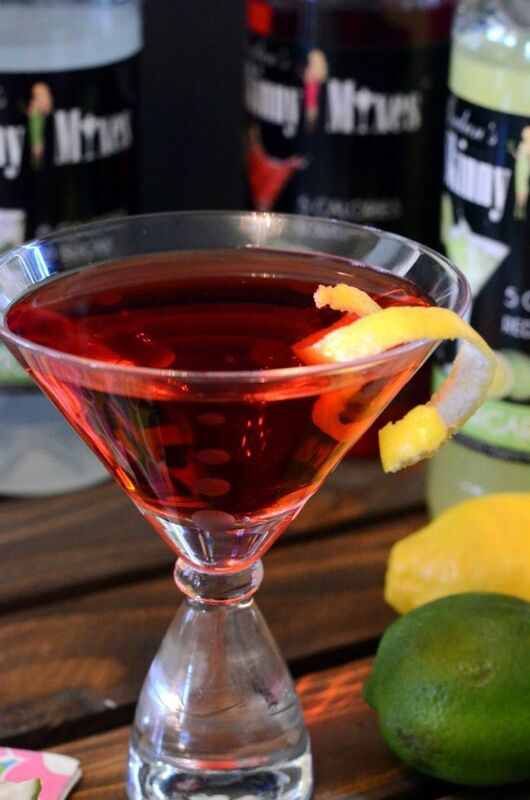 The end verdict on these Jordan&apos;s Skinny Mixes - enjoy your cocktails without any guilt and little or no calories! I say yes to all 3! I may even have to go back and grab up the other flavors! And ladies, I&apos;ll be bringing these to the next Ladies Night get-together, watch out! 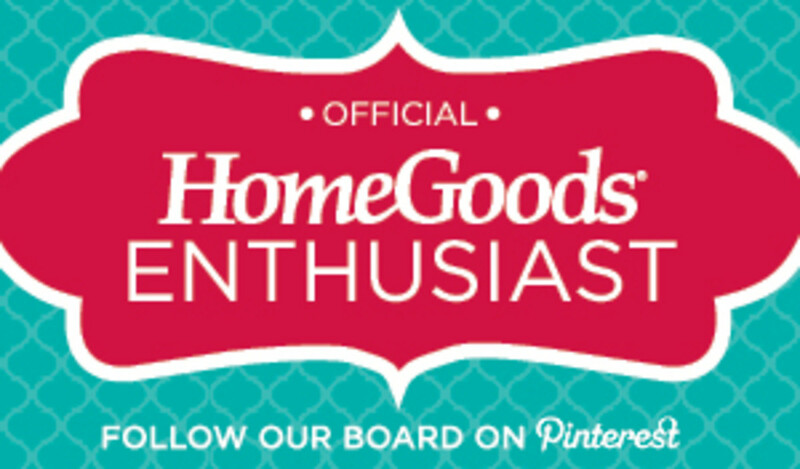 Be sure to check out our HomeGoods Enthusiasts Pinterest board that we contribute too for more HomeGoods finds!